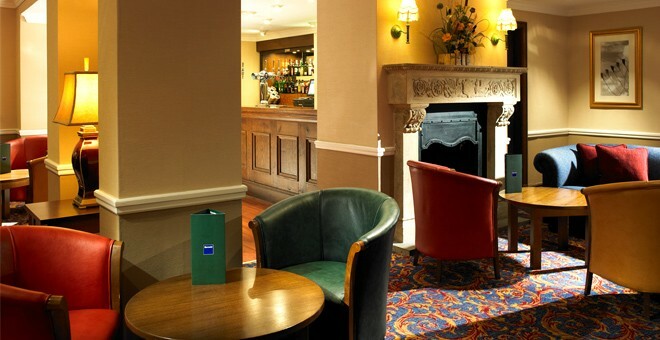 Situated only 5 minutes from the M3 (Junction 5), the Britannia Basingstoke Country Hotel has a peaceful yet convenient location, and is an ideal base for exploring Southern England. 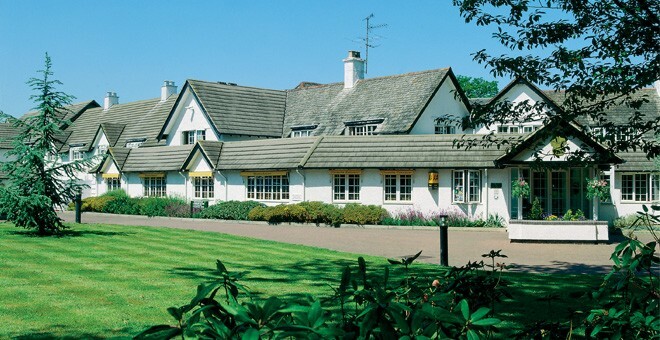 Offering the perfect environment for both business and pleasure, this woodland hotel boasts attractive landscaped courtyards and refurbished rooms, perfectly combining old charm and modern commodities. The Britannia Basingstoke Country Hotel offers everything any traveller needs for a comfortable and convenient stay in North Hampshire. The Scures Brasserie and the bar offer a selection of beverages, delicious light bites and hearty meals, while the impressive facilities of the extensive Spindles Health club and spa offers guests the chance to unwind in the heated pool, spa, sauna and steam rooms, as well as partake in an assortment of health and fitness classes. In addition to being an excellent place to relax and explore North Hampshire, the Britannia Basingstoke Country Hotel is also a prime venue in which to host conferences and other similar events. The hotel boasts two different conference suites, each hosting up to 120 guests in total, which can also be sectioned off into smaller suites if necessary. 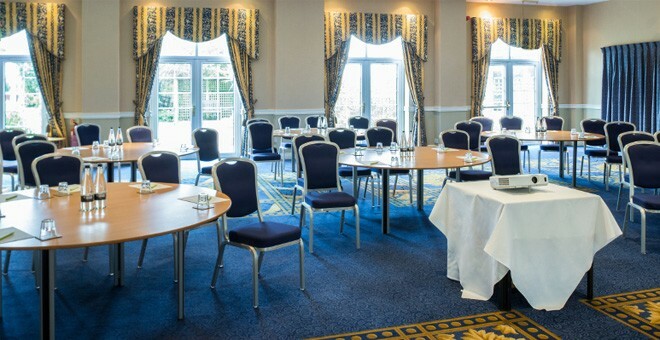 These large, versatile rooms make the hotel the ideal venue in which to hold a congress, meeting or convention for the Surrey and Hampshire area. 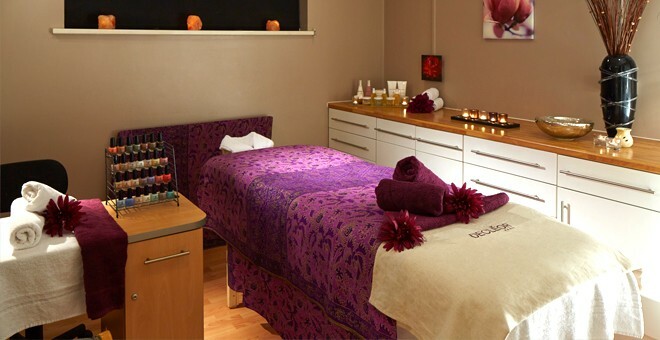 The Britannia Basingstoke Country Hotel is also an accessible hotel, boasting five easy-access rooms fitted with handrails and alarms for any emergency – a feature our disabled guests will no doubt find useful. 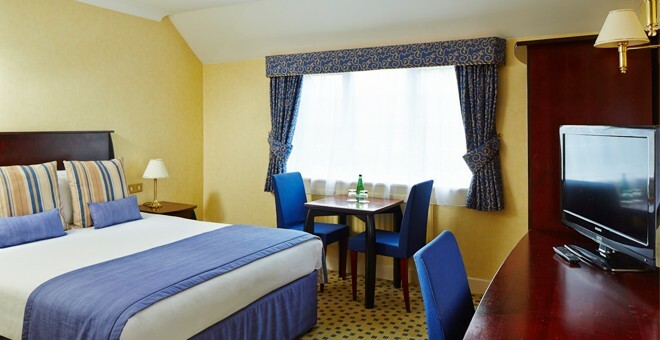 Guests interested in this hotel should consider booking direct with Britannia, as our best price guarantee ensures we can always offer the lowest price for all our hotels across the UK. 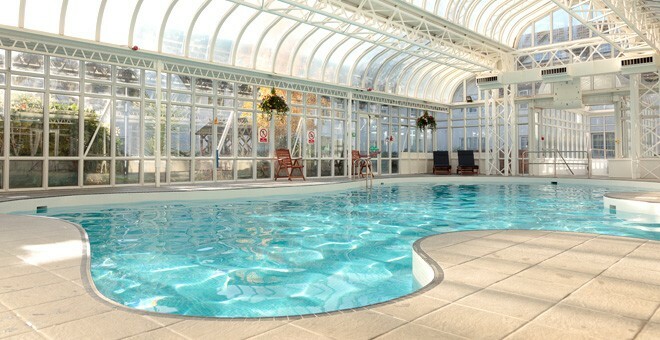 Basingstoke Country Hotel & Spa is one of our best hotels to hold an event. You can expect an Elite experience with our most talented staff on hand to make sure your conference goes smoothly.